Annual British music event The Brit Awards will be seen later this month, express from the UK on UKTV. 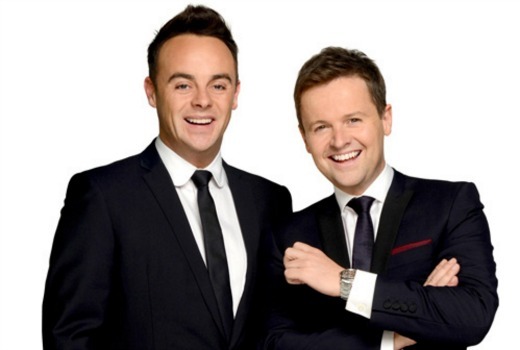 Hosted by Ant & Dec, for the second time, the 38th event will feature Live from some of the world’s biggest artists. KTV will premiere the BRIT Awards express from the UK on Thursday, February 25 at 8.30pm with acclaimed Aussie artists Courtney Barnett and Tame Impala cracking the ranks and securing a nomination each in the annual event’s international categories. In their 36th year, the BRIT Awards are the most anticipated night of the British music industry calendar, recognising the world’s most eminent artists. Hosted by multi-award winning pair Ant & Dec for their second year, the awards are now an annual glittering, star-studded evening which this year welcome an explosive line-up of live performances including: Adele, Coldplay, Justin Bieber, James Bay, Little Mix, The Weeknd, Jess Glynne and Rihanna, who is returning to perform for the fourth time in her career. Adele is one of this year’s favourites, nominated for four trophies. Her multi-million-selling album 25 is up for British Album of the Year, while she has also been shortlisted for British Female Solo Artist, British Single and British Artist video. Other artists that have been nominated for multiple awards include pop trio Years & Years and singer-songwriterJames Bay who have also been nominated for four awards each. Multi-talented DJ, producer and singer Calvin Harris and singer-songwriter Jess Glynne have been nominated for three awards each. Two months after an attack on their gig in Paris, Eagles of Death Metal has been nominated for Best International Group. Thursday at 8.30pm on February 25 on UKTV.